This weekend featured some great games for our teams, bringing home important victories in their Championships thus far. 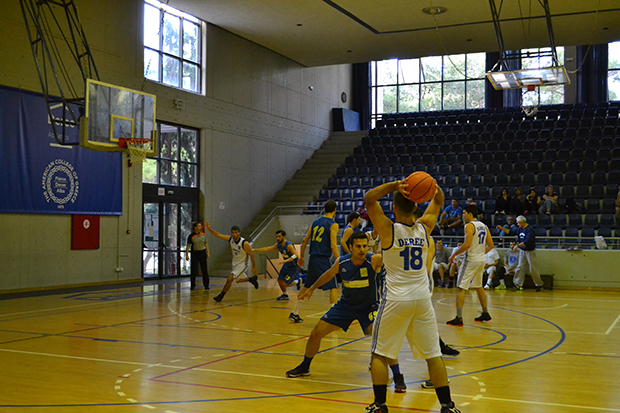 On Saturday, our Men’s Basketball Team beat Toxotis Pefkis 57-54. On Sunday, the Men’s Soccer Team played a game against A Team and added another victory to their season thus far, ending the game with a score of 6-1. The Men’s Water Polo Team also played a friendly match on Sunday against GS Peristeriou, allowing all players to gain experience and work on their offensive skills. The game ended in a 16-14 win for Deree.